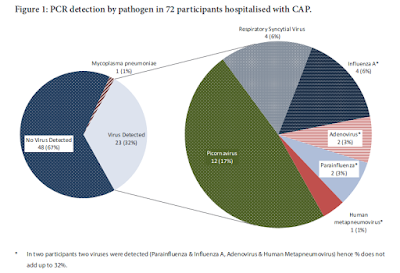 Although the French MOA website continues to show Monday's update, the resource center of Epidemiosurveillance Santé Animale has posted the following update that apparently doubles the number of HPAI outbreaks reported in France to 30. 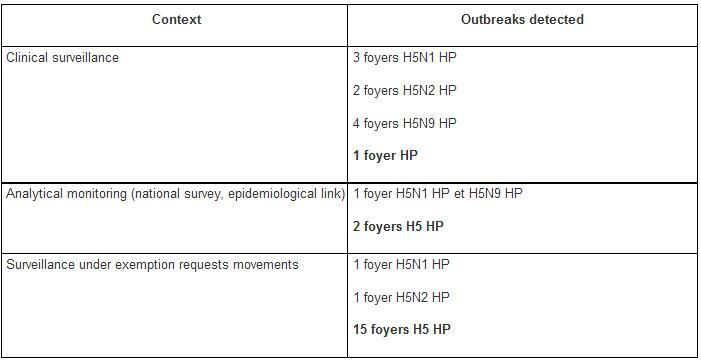 The 10 new outbreaks - all reported on Dec. 15th - are listed only as HPAI H5, with more complete subtyping expected in the coming days. Since Mondays' update only cited 15 HPAI outbreaks - and this one adds 10 more - how they came up with 30 outbreaks total isn't clear. Despite this large jump in outbreaks, we've not seen any outbreaks reported outside the 5 departments in the Southwestern region of France. Submitted by Anne Bronner on 12/16/2015 - 11:28. Burau of santé animale, DGAL. Since December 14, 2015, ten new highly pathogenic avian influenza outbreaks (HPAI) have been identified, one in Dordogne, in the Landes six, two in the Gers and Pyrenees Atlantiques. A total of 30 highly pathogenic avian influenza outbreaks (HPAI) have been declared in France. * New outbreaks since December 14, 2015. HP H5 strains from the outbreaks are being determined. Six of HPAI outbreaks were reported Dec. 15, 2015 in duck feeding workshops at a zone output for slaughter, in the communes of Momuy, Saint-Cricq-Chalosse, Montaut, Gaujacq, Serreslous- and-Arribans and Hauriet (restricted area Doazit-Horsarrieu). The corresponding strains are being determined. Similarly, as part of an outlet for slaughtering a duck feeding workshop, a HPAI outbreak was declared December 15, 2015 in the town of St. Armand de Coly (restricted area of ​​Montignac). The corresponding strain is being determined. A highly pathogenic H5 outbreak was also declared December 15, 2015 in a duck-feeding workshop in the town of Panjas (restricted area Manciet), on the occasion of an output for immediate slaughter. Meanwhile, the brutal death of 350 guinea fowl on a farm of 2,000 guinea fowl, ducks and lean poultry resulted in the declaration of clinical suspicion December 11, 2015 in the town of Mirande. A highly pathogenic H5 strain was identified 15 December 2015. The typing of the strain is being determined. An outbreak of HPAI was declared December 15, 2015 in the town of Uzan in 7500 breeding ducks ready to gorging and force-feeding ducks in 1248.